June 28, 2017 – The GOES-16 Solar Ultraviolet Imager (SUVI) instrument captured this stunning imagery of a solar eruption on June 19, 2017. Solar prominences often appear as huge, arching coils of material, but this one had an unusual, highly conical shape, with the erupting material closely confined to a tightly wound bundle of magnetic field lines. The initial eruption threw material far into space, causing a small coronal mass ejection. But much of the material involved did not escape the sun’s gravity, and became trapped in the newly formed magnetic structure. Eventually much of this material drained down the magnetic field lines that form the skeleton of the prominence, tracing out its helical magnetic structure as it flowed back toward the surface of the sun. Had the coronal mass ejection occurred near the center of the sun, it would have carried some risk of generating space weather effects near Earth, but due to its location on the sun’s east limb, this eruption was directed harmlessly into interplanetary space. The space weather mission is an important part of the GOES-R Series Program, and to NOAA’s National Weather Service (NWS), which is home to the Space Weather Prediction Center in Boulder, Colorado. Space weather can disrupt satellite operations, communications, navigation, and the distribution of electricity through power grids. SUVI, built by Lockheed Martin’s Advanced Technology Center (ATC) in Palo Alto, California, observes the sun in the extreme ultraviolet wavelength range. SUVI observes active regions of the sun in order to detect solar flares and the warning signs of coronal mass ejections. SUVI observations will provide an early warning and enable SWPC to issue accurate, real-time alerts when space weather could affect the performance and reliability of technology in space or on Earth. With advance warning, power grid operators can modify their operations to counteract the effects of space weather, satellite operators can put their satellites in safer configurations, and astronauts on the International Space Station can take necessary safety precautions. In addition to monitoring space weather, GOES-16 (previously called GOES-R) is NOAA’s most advanced geostationary weather satellite to date. GOES-R will provide five times faster weather coverage, better data for hurricane tracking and intensity forecasts, real-time mapping of total lightning for improved severe weather forecasts, advanced warning of space weather hazards, and improved transportation safety. The GOES-16 satellite was launched on a United Launch Alliance Atlas V on November 19, 2016. Since then, the satellite’s instruments and the data they produce have undergone an extensive engineering checkout and instrument calibration period. GOES-16 is expected to be fully operational in November. Until that time, information from GOES-16 is considered preliminary, non-operational data. GOES-R/GOES-16 is a collaboration between NASA and NOAA. The GOES-R series satellites are being built by Lockheed Martin Space Systems in Littleton, Colorado. In addition to the spacecraft and SUVI, Lockheed Martin also provides the Magnetometer and the Geostationary Lightning Mapper (GLM). 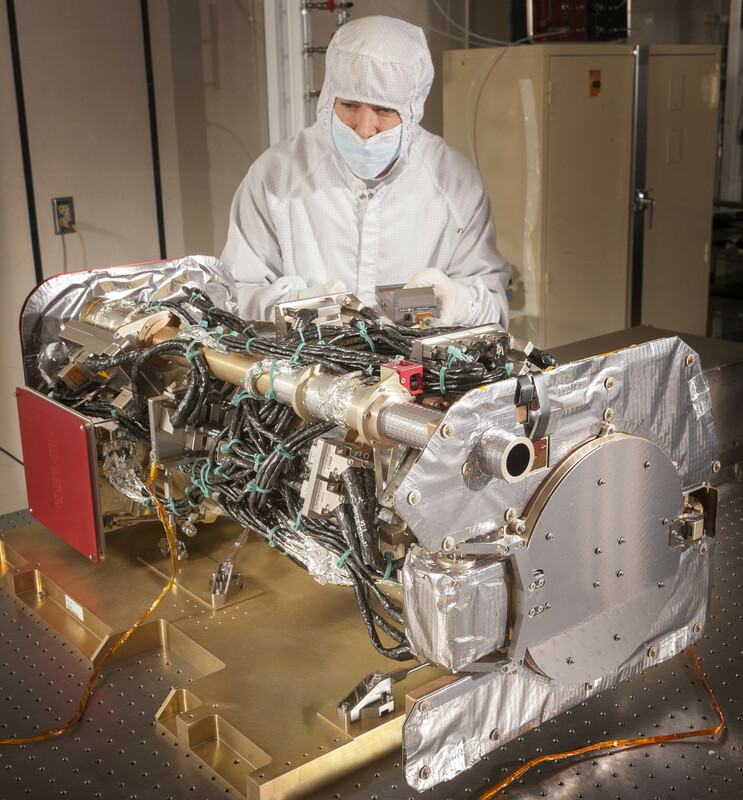 The University of Colorado Boulder’s Laboratory for Atmospheric and Space Physics (LASP) provides the Extreme ultraviolet/X-ray Irradiance Sensors (EXIS).